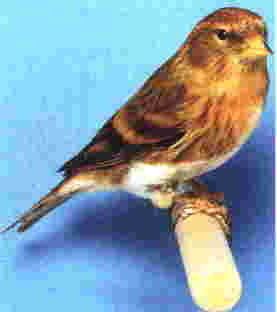 Status and distribution Widespread and generally common over much of the Region. 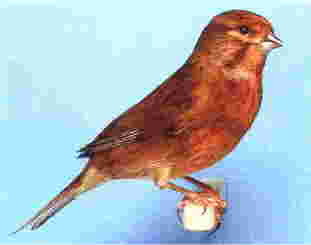 Breeds throughout the British Is and from western France and Iberia east to the Urals reaching north to southern Norway, southern & eastern Sweden and central & southern Finland. 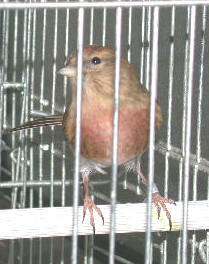 In the south occurs on Madeira and the Canary Is, North-West Africa and most larger Mediterranean islands, Greece, Turkey and the Caucasus and the Middle East. 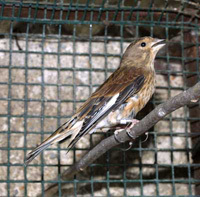 Northern & eastern birds are migratory, leaving breeding areas in Sep-Oct to winter chiefly within range of southern breeders and along coast of North Africa, returning in late Mar-Apr, those elsewhere partial migrants or resident. 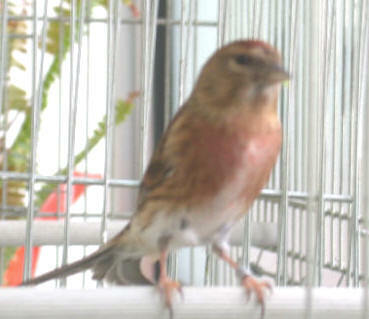 Vagrants recorded north to Iceland and Lapland and south-east to Kuwait. 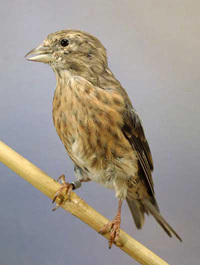 Subspecies Nominate race occurs in Europe and North-West Africa with Turkestan Linnet C.c.bella from central Turkey to the Caucasus and south to Israel, paler above with very pale rump and pale grey crown and nape in male. 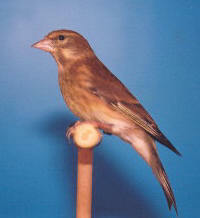 The Atlantic Is have three races but they differ little from nominate. 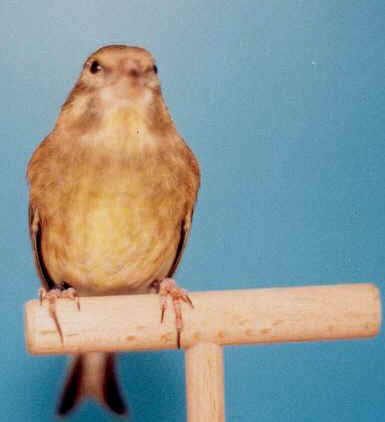 Eastern Canarian harterti from Lanzarote, Fuerteventura, Graciosa and Allegranza is paler above and whiter on flanks, meadewaldoi from Palma, Hierro, Gomera, Tenerife and Gran Canaria and nana from Madeira are very similar. 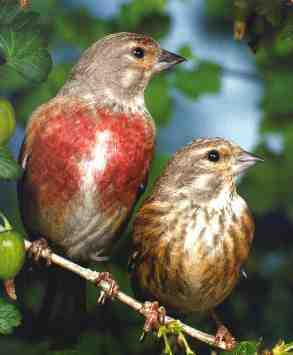 Habitat Open habitats with low shrubs and scattered trees, often on moorland and heathland, along woodland edges, hedgerows and orchards, sometimes in large gardens. En race bella on rocky and scrub-covered mountain slopes. 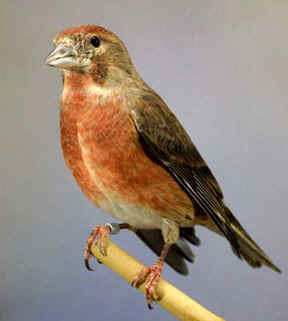 In winter forms large flocks often with other finches and feeds on stubble fields and other cultivated areas, along shorelines and on waste ground. 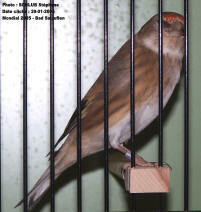 Very popular very good rich colour when colour fed,beak should be black, excellent singer and popular on the show bench when crossed with the Norwich canary a must for any mule breeder breeds well in cages no need for an aviary. 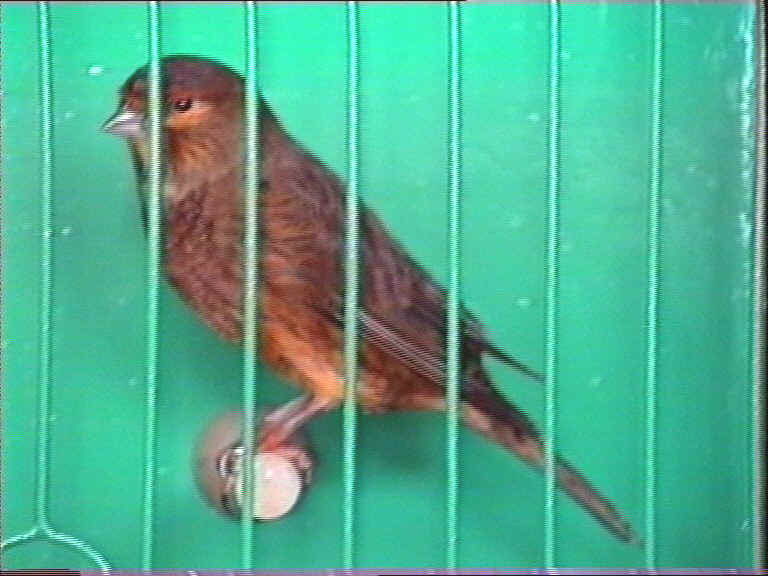 The bird on the right was owned by Terry Mc Cracken this picture was taken in 1991 at Staffordshire B.B. & M.C. 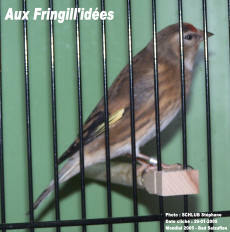 Picture supplied by Aux Fringill'idees http://stephane.schlub.free.fr/"
SEED: good British finch mix including a small amount of hemp, pine nuts, niger, maw, gold of pleasure also a good multi vitamin with added probiotic. 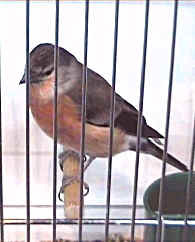 REARING: soaked seed, egg food, a supply of green food and small amounts of live food, when rearing young, fresh water daily and mineralised grit with a small amount of charcoal added.